A red plate set at the supper table is a time honored tradition among American families to recognize someone who deserved special praise. 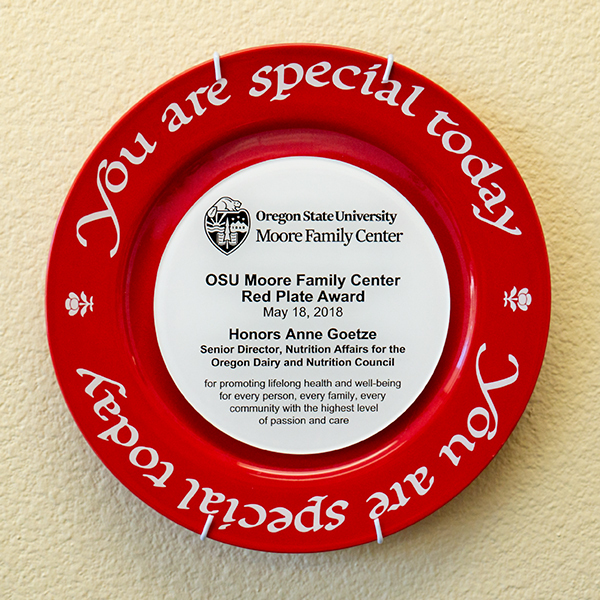 4 years ago, OSU’s Moore Family Center for Whole Grain Foods, Nutrition and Preventative Health amplified that tradition to start the Moore Family Center Founder’s Red Plate Award. An award designed to recognize professionals who work to help individuals and communities live healthier through good nutrition.